With over thirty-five years of dedicated work, one can understand Michael K. Paxton’s metaphor for growth in art, “You can’t pull on a plant and expect it to grow. You have to nurture it. Be dedicated and invested in order to see results.” Paxton has an extremely strong foundation in life and still life drawing. He can render the most believable bodies, carving realistic beings with luscious curves and muscular flesh. There is no doubt his handwork is masterful, but what sets him apart from the rest is his artistic process. 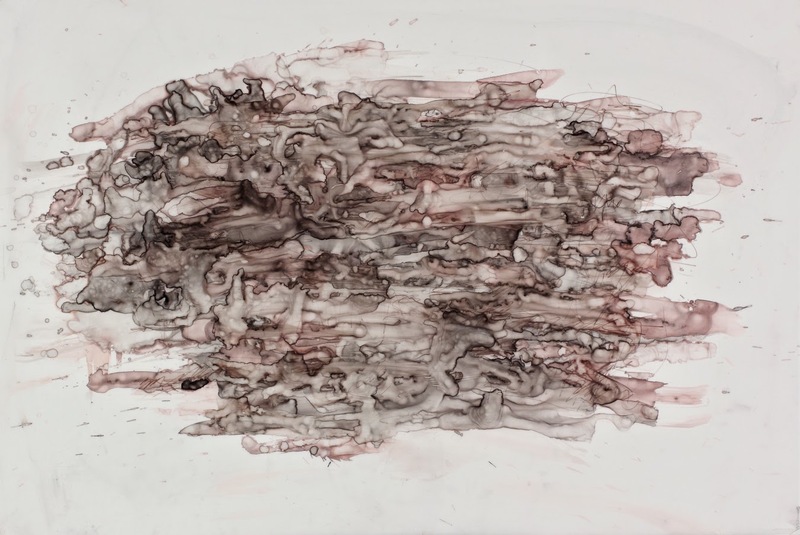 Paxton uses materials such as waxy drafting film, pen and ink allowing accidental flows of washes across a non-absorbent surface to influence his mark making. 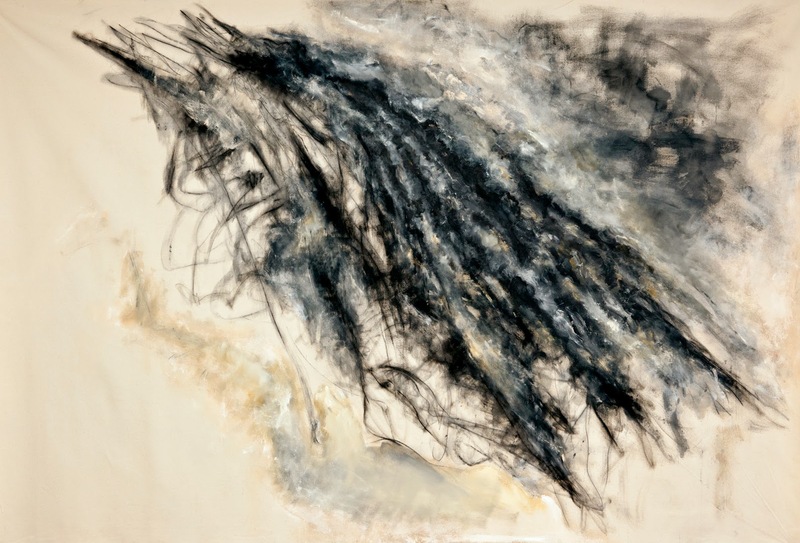 This tactic allows Paxton freedom as his work springs to life from mistakes and transitions through undetermined mark-making, creating a flow that is natural and bold as it branches out into new exciting directions. Paxton describes his artistic process as a search for a better way to see and experience space. He reminds the viewer that we are tainted by the technology of the 21st Century. Technology offers a different experience of reality that becomes more embedded in our culture everyday. As a result, we understand the physical world less. Creating by hand, Paxton trains the eye and hand to understand the information that is available here in the third-dimension word. In fact, the eye and hand have become Paxton’s subject in an abstract sense, a fairly new direction for his formerly representational work. Paxton creates layers of thin washes that build from previous marks moving spontaneously and instinctually across a large surface. 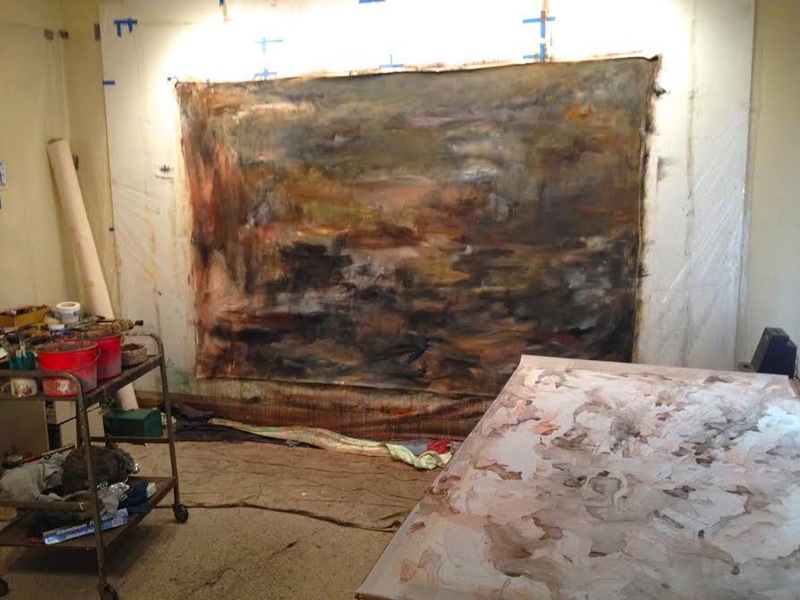 This work is done without using preliminary sketch work, allowing him an uncertainty to grapple with and grow from. This art transcends any preconceived ideas getting to the root of what it means to picture the world. 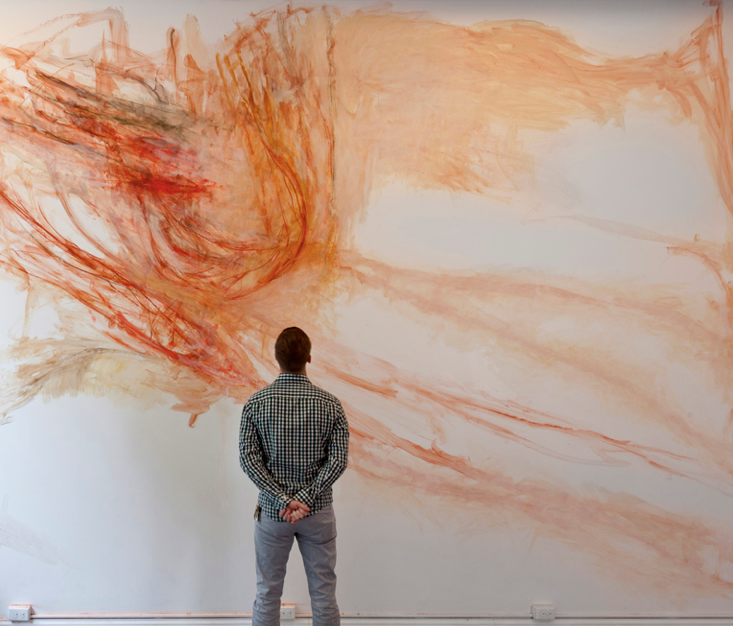 Paxton’s work is a fluid process that often appears radiating with life forces. Fluidity and movement carve new imagery, like a glacier making a pathway over time showing space and depth to the viewer over a flat surface. Paxton showcases breath taking control through instinctual mark making that builds masses from hard, rigid mountains with cavernous depth and sleek slopes to vaporous clouds of smoke, a delicate wisp moving in all directions across a wall, marks that portray the act of burning or marks reminiscent of streamline bodies of water, sifting cascades flowing and falling in unexpected yet completely natural directions, forces of nature in all of their awe inspiring stages. 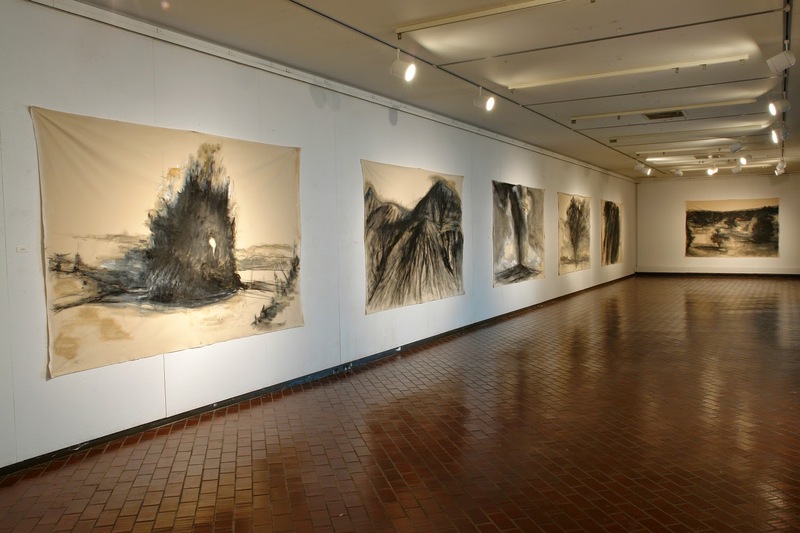 Paxton offers a variety of unique perspectives in his abstract drawings and paintings. Each series of work showcases a new inventive process. Some pieces recede with layers of washes, while others take on beautiful properties of nature through a splotchy technique that evokes the subtle pitter-patter of rainfall. 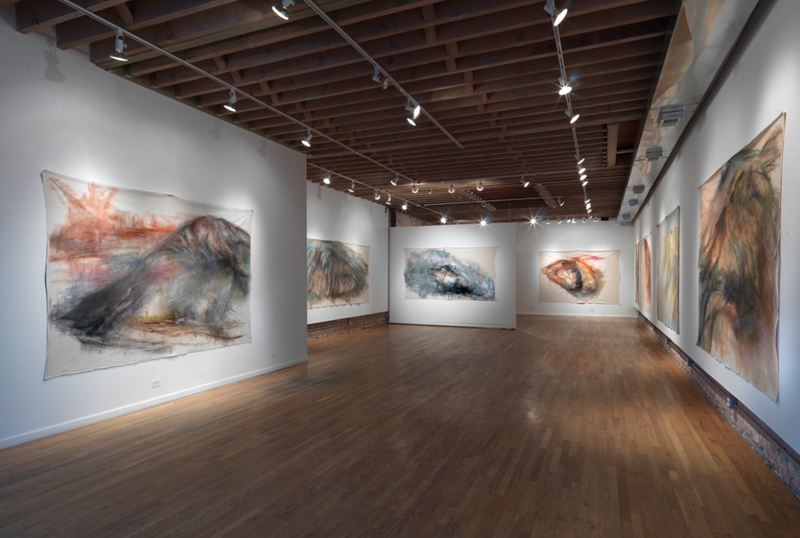 Paxton is a visionary to keep an eye out for in Chicago whether his exhibiting work is representational or abstract, each of his works exemplify his stunning and extraordinary drawing skill and incredible talent as an artist. 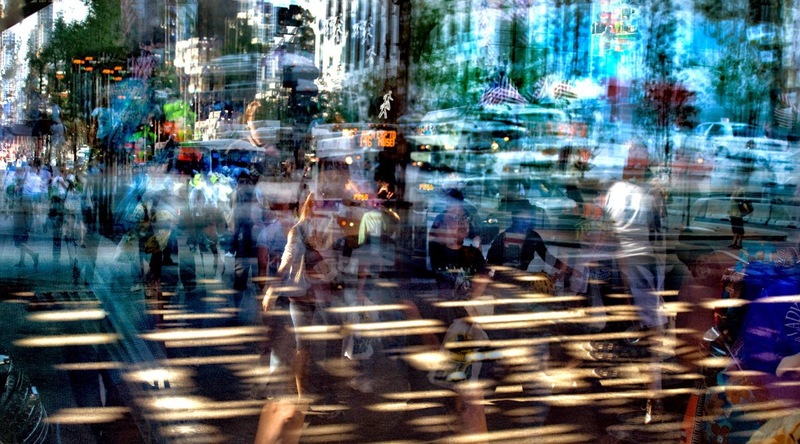 Similar to Paxton’s large-scale bodies of work, Darryll Schiff paints dramatic and beautiful motion with his camera. Each piece has its undeniable entry point where larger than life it absorbs the viewer. Unlike other still life photographers, whose work is well-composed but ultimately lacking as an immediate reaction, Schiff’s work is a meditation, much like a drawing. This can help explain why both Paxton and Schiff are able to coax the viewer to a prompt response to their work; it is a sensory reaction to feel strongly about the uniquely beautiful perspective that is being offered. The work provokes immediate sensation because it is can be recognized as an experience to stand before and take in reflections of the world that cannot be obtained sheerly by will without the aid of tool or the knowledge to do so. Paxton and Schiff bring audiences into a welcome trance with their incredible skill and most pensive bodies of work. I'll leave you to look forward to next month's DSFA Featured Artist, Clare E. Rojas, another favorite artist of mine! The Abstract Expressionist canvas is an affirmation of the ego. 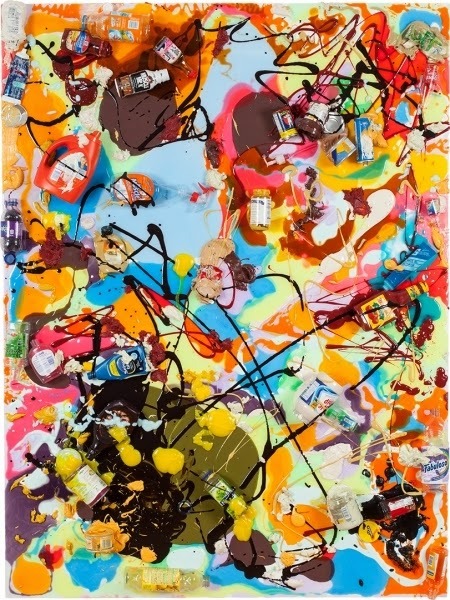 It reads subjective free will, yet Pop-Art exemplifies both industry and an “ordered world.” This frame work helps explain why Tony Tasset’s spill paintings have such a profound affect on an educated art viewer. Tasset’s work appeals to intellectuals as well as a wider audience of viewers who can respond to familiar things recontextualized. By large, Tasset’s work is something all people respond to. If you do not have an art background, I can explain to you why these colorful kitchen disasters are so important conceptually. 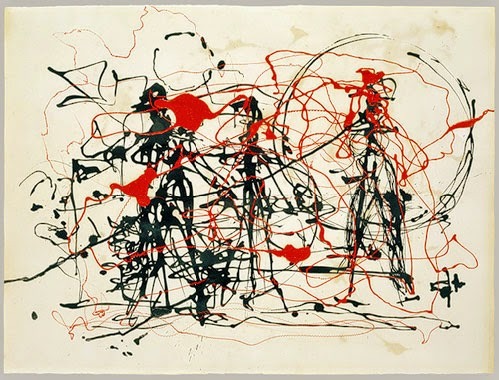 Many are familiar with the work of Jackson Pollock, though not all people realize he could be credited for a drastic change in art direction that led artists to become preoccupied with the space and objects of our everyday lives. Pop Art focuses largely on the everyday life and was brought on in the 1950s-1970s inspired by popular culture and mass media. Tasset’s work is the lovechild of these two drastically different art movements. 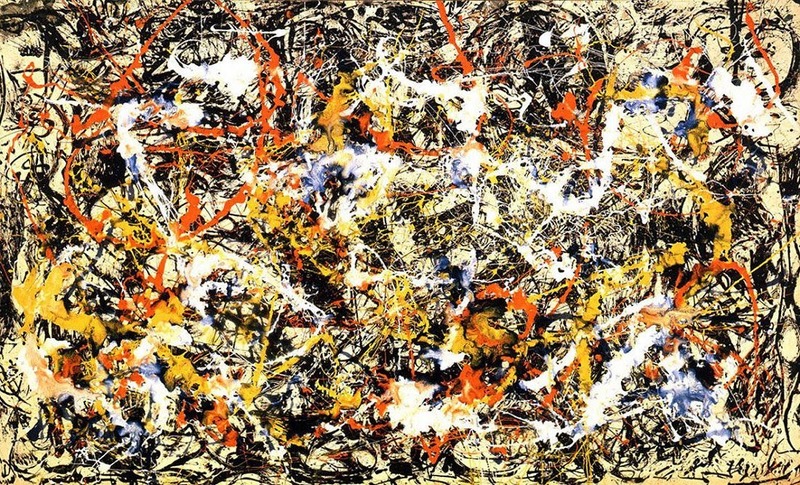 One could say the individual gesture and autograph of Abstract Expressionism moved on to the commodity of mass media, as opposed to the individual. Again, this is why Tasset’s spill paintings are such an extraordinary appropriation. Pop Art is meant to act as something everyone can recognize, it is not intended to be perplexing. It is art everyone has had an experience with. 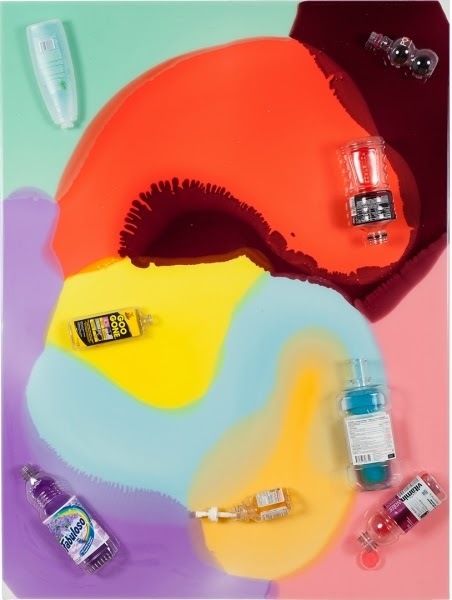 Pop focuses largely on the idea that we are not makers of things, we are buyers of things, yet the fabrication process Tasset achieves to create believable resin replicas of the spilled condiments and cleaning products is astonishing. 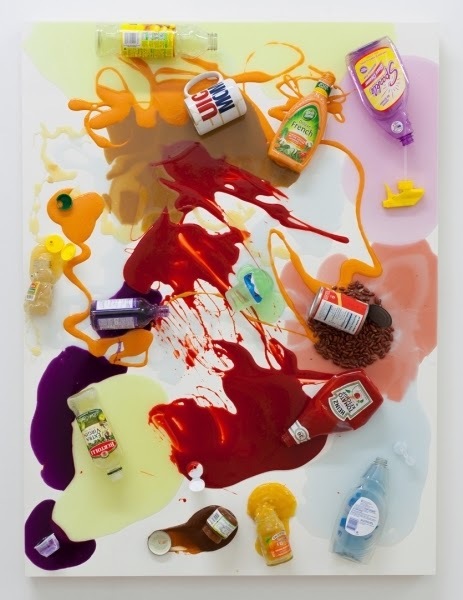 Tasset uses the appropriated imagery property of Pop Art by applying the empty bottles of the substances he replicates. On the left is detail on Tony Tasset's "Deluxe French." 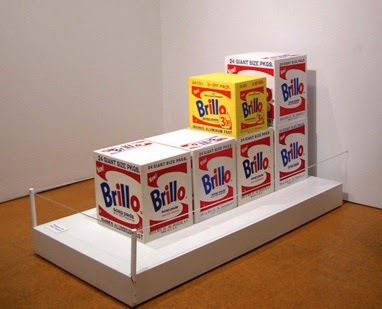 The right shows Andy Warhol's "Brillo Boxes"
Typically, Abstract Expressionism is a “hot art” being that it is emotional, expressive, improvisational and spontaneous, which Tasset’s paintings evoke, however the substances made to be spilled in Tasset’s “spill paintings” are carefully calculated to look believable in consistency, color, thickness and translucent or opaque properties. These qualities fall more in line with “cool art” traits relating to Pop Art where the hand of the artist is not meant to be seen. 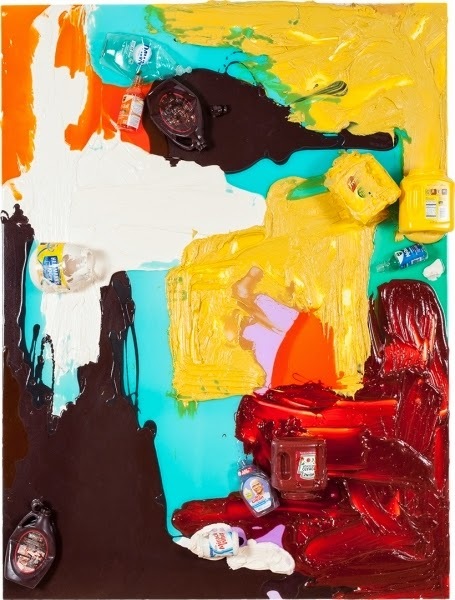 In fact, the first time I viewed Tasset’s paintings at Kavi Gupta Gallery I did not realize the liquids were fabricated and not in fact actual spilled chocolate sauce, wine, mustard, Lysol and lysterine being poured and dried on canvas board. 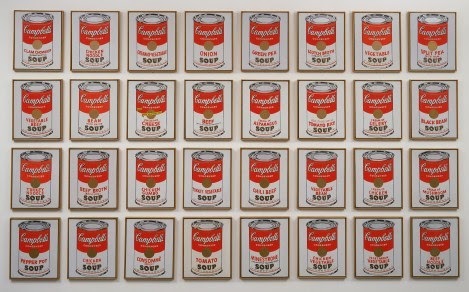 With traditional Pop Art, the end result is an art piece that intentionally looks to be mass-produced. Again, this is where Tasset’s paintings differ, looking far too spontaneous and expressive to be replicated. 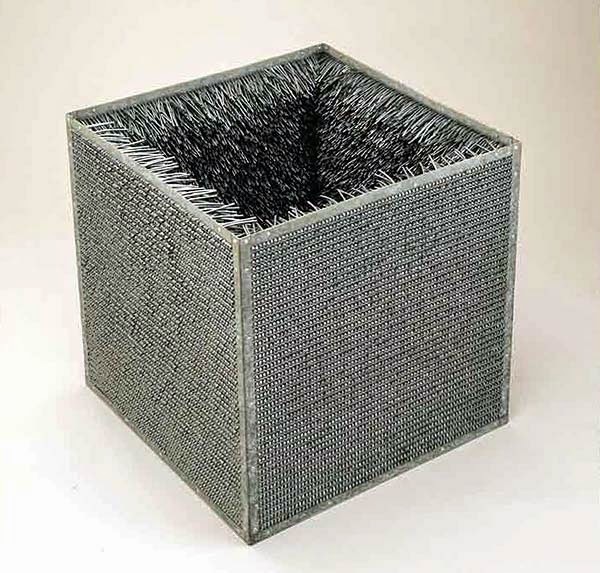 There are few artists who make work as exciting and thought provoking in this manner, in a sense Tasset can be compared to post-minimal artist Eva Hesse, known for blurring the lines between properties of Minimalist art work and it’s complete opposite. The spill paintings are much like her textured cube “Accession II which holds properties thought to be minimal. Hesse’s work is both process art and a cube, but it is decorative and complex. 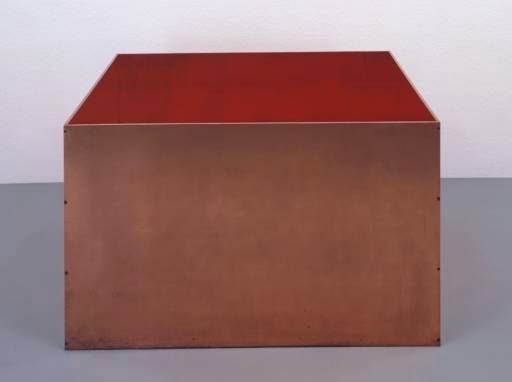 Hesse’s “Accession II” is not flat surfaced nor sleek like Donald Judd's cube, which is the signature look for Minimalist works of art. Again with Hesse’s piece “Hang Up” she initiates conversation from the viewer, is the piece sculptural, or a painting? 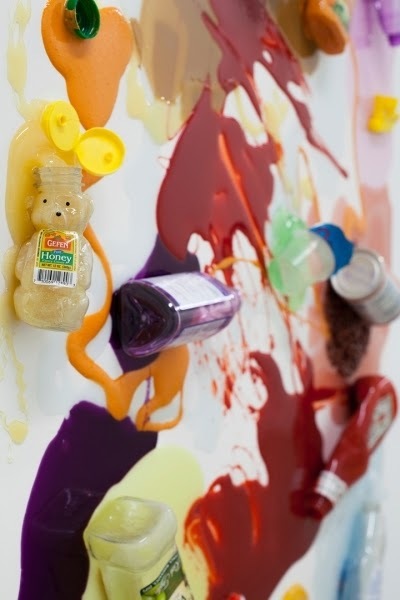 Tasset’s spill painting is always challenging the viewer in this manner. A very simple truth about Pop Art is how it should be representational, where Abstract Expressionism, as suggested in its name, is abstract. Pop will always reference something else, the aspect of culture the spill paintings represent is of course Pop Art’s predecessor, Abstract Expressionism. Being, an art historian, this work excites me, but even without this prior knowledge other viewers can respond to the beautiful color choices and fantastic textures of these paintings. These pieces are the perfect size to let the medium spill and melt into gorgeous puddles of seductive color. 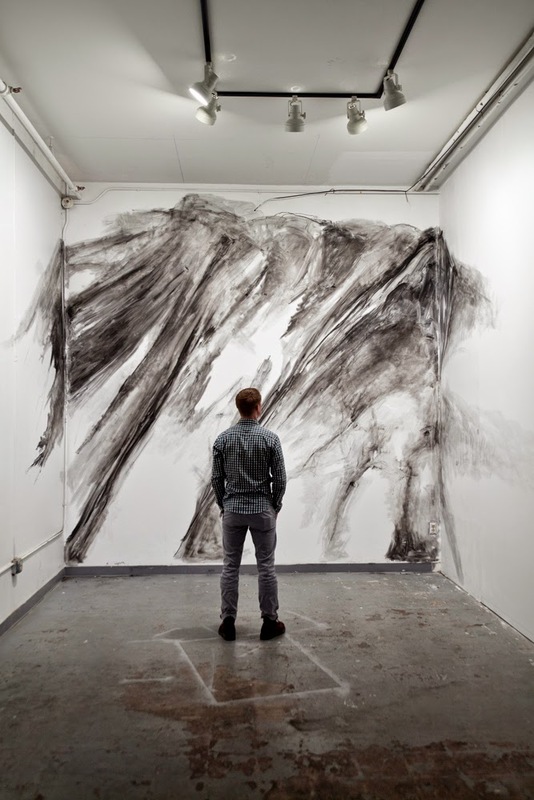 The true magnetic quality of Tasset’s body of work is the impressive amount of diversity. 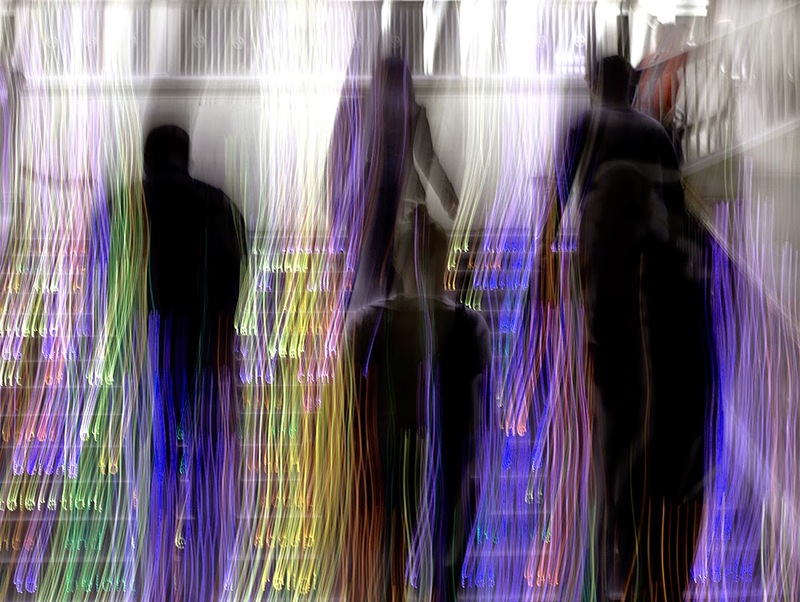 Tasset is an inspiring contemporary multimedia artist, with a variety of mediums and styles focused under unwavering artistic direction. 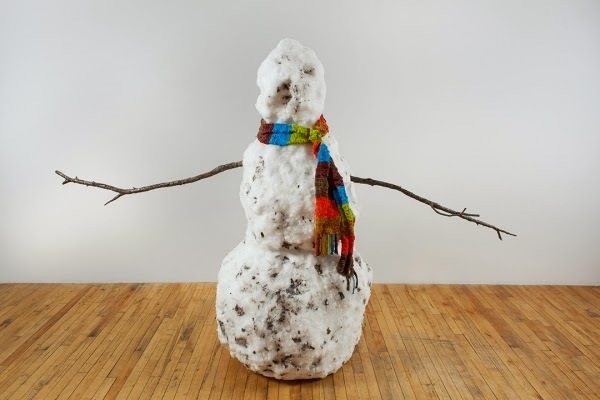 Another body of work that speaks volumes to me on a more sentimental level are his spectacular hyper realistic sculptural works made to look like melting snowmen, rotting jack-o-lanterns and drying mud pies. 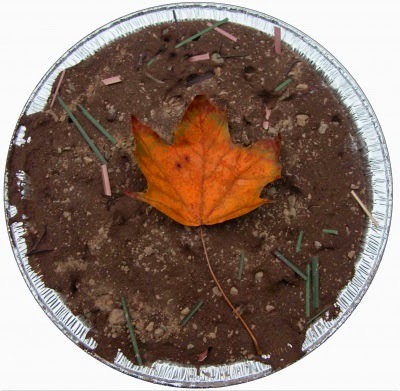 These faux nature play creations preserve the ephemeral, seasonal man-made traditions. 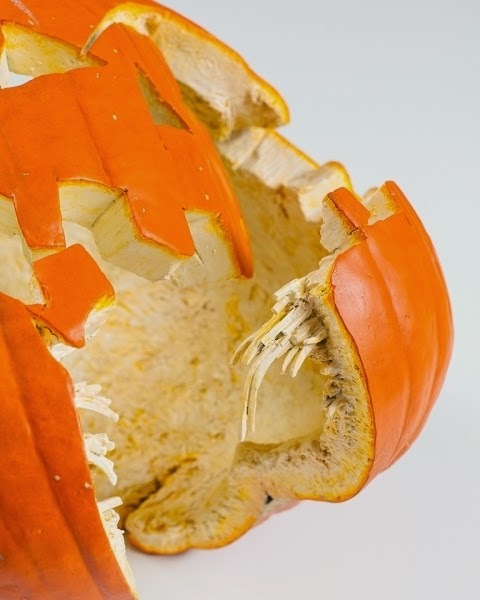 The pieces generate memories and conjure emotion in the viewer as they recall the sadness a child feels when their new friend is reduced to a pile of snow, or Halloween night is a week old memory and they’ll have to wait another year to carve a silly face into a pumpkin. Tasset recreates the familiar, not unlike Jeff Koons with his balloon animal sculptures, thought I prefer Tasset’s creations that evoke nature’s cycle of life and death reflected in seasonal activities. 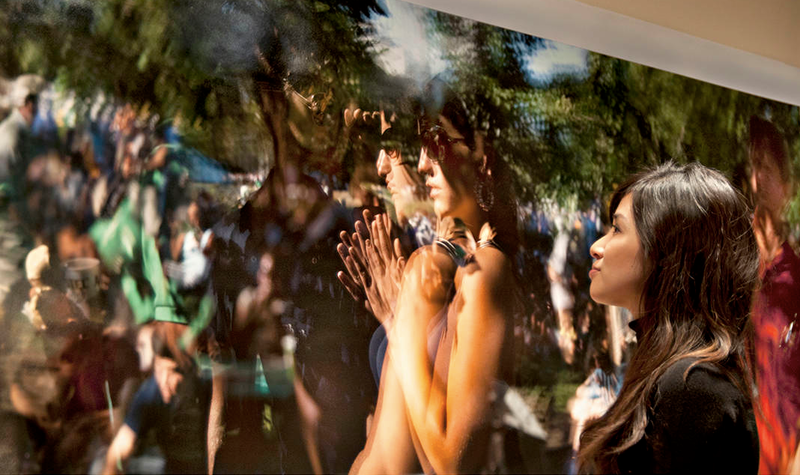 The power this work holds is the ability to make the viewer nostalgic through the alluring qualities of ephemeral art. It is art we have all had an experience with, it is playful with grim undertones as it captures a fleeting moment near the expiration date of a perishable play object we have given life to with our own hands and imagination. 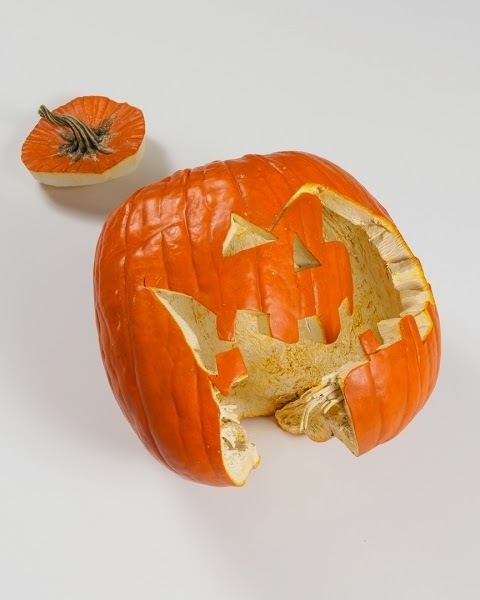 Above are two images of Tony Tasset's "Smashed Pumpkin" the first a full image, the second detail. 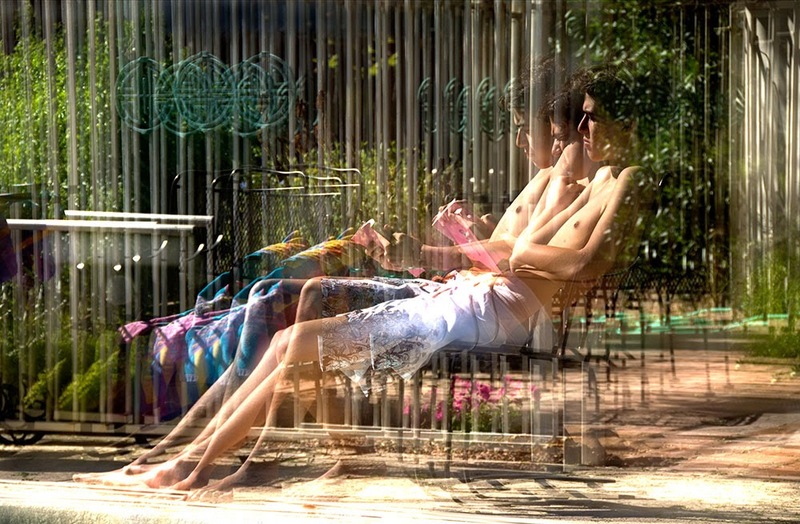 Like Tasset, Darryll Schiff’s photographic body of work conveys the beauty reflected by the impermanent and ephemeral qualities of life. The camera is well-equipped to capture fleeting moments, yet the medium is used more uniquely than a simple snapshot. 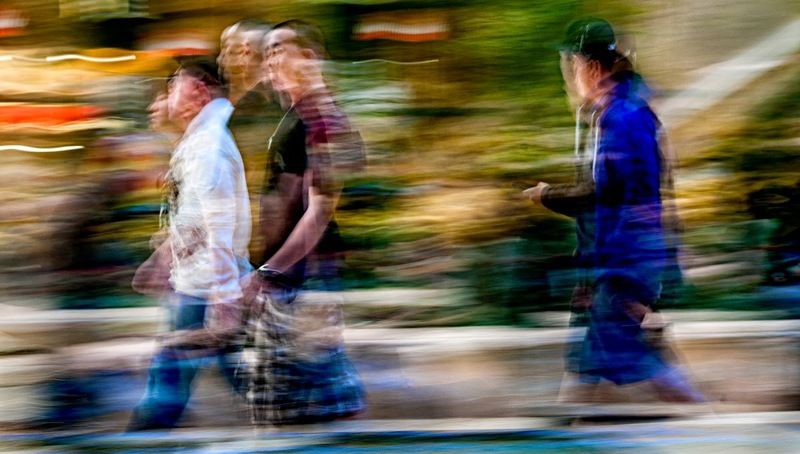 The style in which Schiff expertly seizes his various photographic subjects is always done so in a way that explicitly captivates the essence of a passage in time, like a sophisticated time lapse that only a professional artist of his caliber could hope to achieve. His signature style includes an emotionally charged essence that comes through with each of his photographs that speak for all of humanity in this modern age. Schiff’s color palette is never short of amazing as it lures the viewer in to contemplate not only how his work is made, but the deeper meaning behind it. The painterly movement and flow is deliberate to convey the romantic notions of a contemporary artist exploring the digital world through a digital medium. Both Tony Tasset and Darryll have expansive bodies of work that cover a variety of subjects and styles. It is their ability to generate emotion through their art that makes their work so gravitating in each drastically different series.